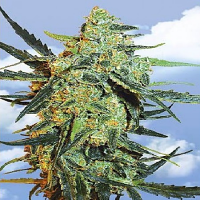 Blue Hash is an Indica dominant marijuana variety in the Dinafem feminized seed collection. 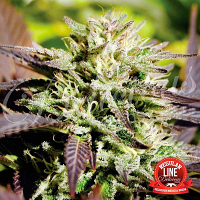 She is a stable cross between two well known Dinafem strains, Blueberry and California Hash Plant and is popular because of her fruity taste and colourful look. Her Blueberry bluish/purple/reddish colour and sweet, fruity and pungent aroma combine with the precocity and production of the California Hash Plant. Feminized seeds of this variety were originally selected outdoors over several years, always focusing on quality along with the best possible production from this mythical strain. Mould resistance and precocity were other features taken into account to minimize problems in humid conditions. Cultivated in the South Pyrenees, at the attitude of 1500 m, Blue Hash cannabis strain has proven to be a delicacy and a real beauty. Her feminized seeds are able to adapt to cold and humid climates and flower indoors within 50-55 days with incredible 500gr per m2. Outdoors, these cannabis plants can be harvested till October the 10th. They grow more like Sativa and reach up to 3 m high. 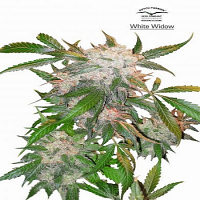 These cannabis seeds grow fast and produce resinous and hard buds, with purple colours in cold conditions, smelling of fresh fruits and resin. Due to the high THC content (16%) Blue Hash marijuana delivers strong psychoactive effect so needed after a hard working day. 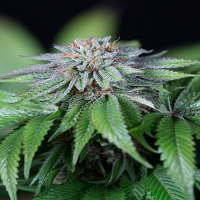 Blue Hash grows like an Indica-Sativa hybrid, with Indica predominance. Blue Hash reaching as high as 3 meters. Blue Hash produces resinous and hard buds, with purple colours in cold conditions, smelling of fresh fruits and plenty of resin. It´s a strong plant that resists well humidity and mould. It is a great producer outdoors, due to its size. Blue Hash is a good choice for high altitude mountain areas, where cold nights give it attractive colours. 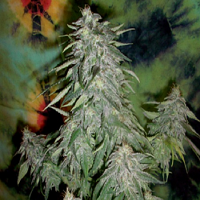 It has good strength, like Indica, with a strong psychoactive effect.